In the middle of the holiday region Valle Isarco, embedded in natural landscapes that are typical for this region and surrounded by magnificent mountains and fields, lies the holiday valley Funes / Villnöss. 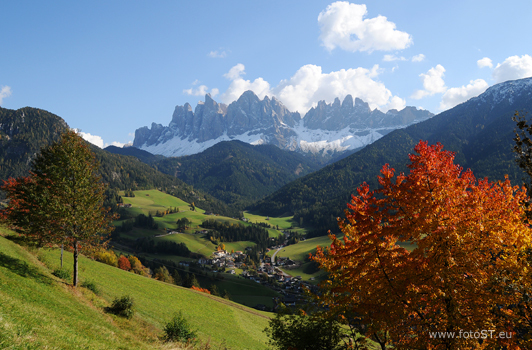 Here, in the hometown of South Tyrol’s most famous mountaineer, Reinhold Messner, mighty peaks are waiting to be climbed; also ramblers get their money’s worth in the unique natural preserve Puez-Geisler. Let yourself be enchanted by this pristine spot and recharge your batteries for workaday life at one of the manifold accommodation facilities in Funes.